Welcome to IFA Sport, home of grassroots football in the UAE. We love football as much as you so let us help you choose the best program to take you to the next level – there’s something for everyone! Learn how to plan & deliver more effective coaching sessions using the Worlds No. 1 soccer skills teaching method. Book and play on our world class training facilities, they really are in a league of their own. A pathway to professional football in the UAE for players of all nationalities. Download our new App and manage the game we love on the move – book sessions / pitches, track fitness and performance, then film your victories and share them with friends! Simple, fastest way to book an academy session, book a pitch or join a league. Switch locations, dates and sessions in an instant. See live progress of playing performance and health improvements (heart, calorie, distance). Get personal coaching tips and see training films just for you. Take an extraordinary challenge to prove your skills or challenge the rest. 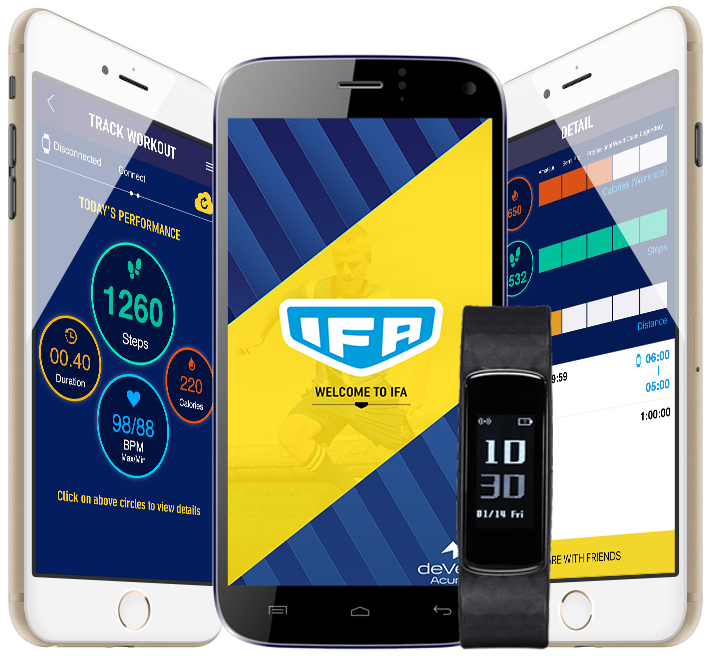 New exclusive secure IFA social media newsfeeds, timelines and friend profiles for players and parents, make playing more fun. Exclusive new pro film maker tools to create your own sports film, edit and set to new music all within the app. Monitor your history from each day to each year on your journey to a healthier more active life. DUE TO THE WEATHER CONDITIONS, ALL SESSIONS TODAY ARE CANCELLED! Well done to all teams in the IFA Stars League! We look forward to welcoming you back in term 2.